Auto Pilot Projects are the best therapy!! Last night I finished up one of my favorite auto pilot projects… A C2C lapghan!! If you aren’t familiar with that term.. it is a Corner to Corner pattern!! Once you get started… you can just relax and crochet.. no looking back at the pattern! I was able to work on it each evening and watch my favorite shows!! I grabbed several of my half used skeins of yarn and made a perfect size lapghan for covering up on a chilly summer evening!! Here in my little mountain town it can get pretty cool in the evenings and this blanket works perfectly!! 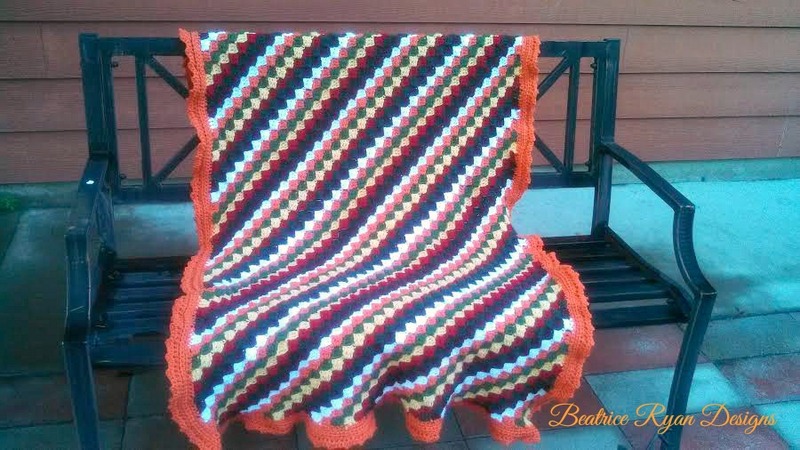 If you would like to try one of these fun stash busting afghans… I found the pattern on Ravelry… It comes with several language translations… English being one of them…. Lots of pictures and hand drawn graphs… The pattern is written out as well but states it uses UK terms… No Biggie… she explains it all! Click Here for the pattern! You can also head over to Youtube and find some great videos too!! Have fun and do a little stash busting!! Crochet with Me… Winter CAL Material List! !